It was one of Alline Little’s little secrets: The medication she took regularly to control her atrial fibrillation and prevent strokes made her feel awful. So- she stopped it. Cold turkey. And told no one. But when her daughter, Donna, found her lying between the toilet and the wall of bathroom one morning last June, her secret was out – even if no one knew what was wrong with her or why. 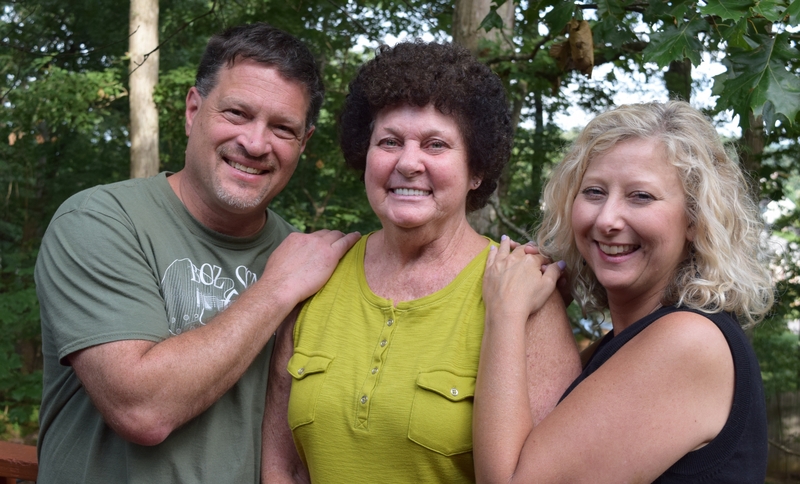 That’s because Little, who had suffered the most deadly form of stroke – a clot in the basilar artery of her brain stem – is a walking, talking testament to the quality of care delivered by the stroke team at Fort Sanders Regional Medical Center. Without quick intervention, only one out of 10 people survive such a stroke, and virtually all who do survive will have permanent neurological damage to some degree. Little, however, came through the ordeal unscathed, thanks to Fort Sanders Regional stroke director and neurohospitalist Arthur Moore, MD, who administered the clot-busting drug tPA (tissue plasminogen activator) minutes after her arrival at FSRMC’s emergency department. It worked so well that no embolectomy, or surgical removal of the clot, was needed. Dr. Moore administered the tPA while Little was still in the CT scanner. Because she still had symptoms, he alerted his colleague, interventional radiologist Keith Woodward, MD, for a possible embolectomy. Dr. Moore said Alline Little’s stroke should serve as a warning to A-Fib patients: Never stop a medication without first talking with your doctor. For more information about stroke services offered at Fort Sanders Regional Medical Center, visit www.fsregional.com/stroke.